BBQ always tastes better when you're not the one hovering over a hot grill. 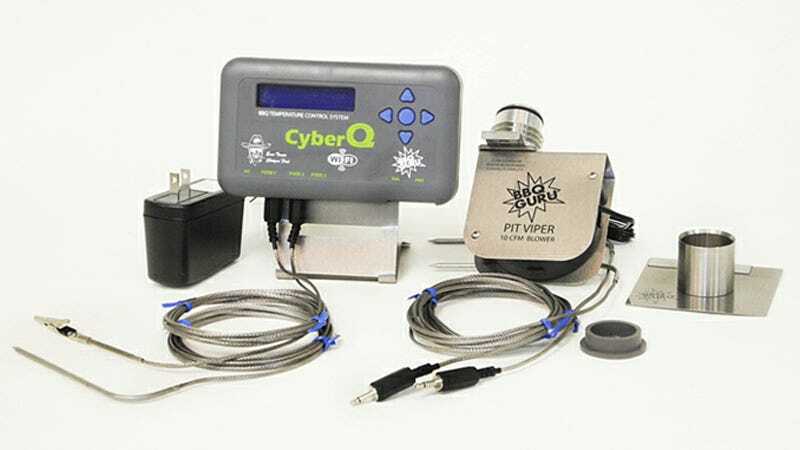 So the folks at BBQ Guru have created the CyberQ Wi-Fi which lets you remotely monitor and adjust your grill while you're nowhere near it. There are plenty of remote probes on the market that let you know when your meat is done, but you then still have to get up and make your way to the grill lest everything burns. Not so with the CyberQ Wi-Fi installed. When all hooked up it intelligently controls your BBQ, so besides keeping a tabs on the thermometer, it allows you to set a specific temperature and rest assured it will automatically regulate the heat inside your smoker.